Car Insurance is mandatory for a car and we buy it very casually. We only see the lowest premium while buying the insurance. The accident cover, claim settlement ratio, damage charges etc. are the other important factors which can be taken care while buying car insurance. Car insurance or motor Insurance is the coverage to protect the loss or damage to a car due to an accident. It also covers the life and property of others due to the accident. Most of the cars and bikes in India do not have valid insurances even if it is mandatory under the act. Car Insurance or vehicle insurance is mandatory under the motor vehicles act 1988. A car can damage any property of others while accident. It can cause damage to life or bodily injury of other people also. These liabilities are to be borne by the insurer. The third party insurance coverage is must for all the vehicles on Indian roads and a vehicle running on the roads without insurance coverage is an illegal act. Bumper to bumper policy means the insurance covers everything between front and back bumpers. It can be called as zero depreciation policy also. If you want to know about zero depreciation policy, keep reading the article. Insured declared value of a car is the maximum sum assured of the insurance policy which is fixed during buying the insurance. The value is fixed by the insurer. You will be paid this amount when the vehicle is totally damaged or theft. The insurance is covered on the third party means the other than the two parties involved in the insurance contract. Here the two parties are the insurance company and insured. The policy does not cover the insured but it covers the insured’s legal liability due to third party’s loss. When you claim for damage of your car, you have to bear part of the expenses while fixing the car it is called as compulsory deductibles. This is to identify the genuine claims and also to discourage the minor claims. This ranges between Rs 1000 to Rs 2500 in general. This is quite similar to co-pay in the health insurance policy. When you are buying a car insurance and take the option of compulsory deductibles, you are eligible for a discount on own damage premium. Suppose, there is a claim of Rs 20000 and the compulsory deductible is Rs 2000 so the insurer will pay Rs 18000 for the claim. Now, if you opt for a voluntary deductible of Rs 5000, the insurer has to pay Rs 15000 only. By opting this voluntary deductible, you can get the discount on own damage premium. This discount can be a maximum of Rs 2500. There are various factors which you must know before you renew or buy car insurance online. People do not give much attention while buying a new car as the dealer is doing everything for the customer. But when the renewal time comes, we are searching for a low-cost policy without analysing its proper benefits. Third party liability cover is mandatory under the motor vehicles act. If you buy car insurance with only third party coverage, it cannot pay for the damage of the car. A car can be damaged due to various reasons on the road such as collision with other cars and small, small incidents happen on the street. You don’t have to pay from your pocket to fix the car damages if you have comprehensive car policy. It can also cover the damage due to fire, explosion, riot, earthquake, terrorist activity etc. The main features of the car insurance to cover the car damages and damages to the third party. Some add on benefits can also be considered for extra benefits. One of those extra benefits is zero depreciation cover. You will get the entire cost of fixing car damage if you have zero depreciation policy. At the time of claim, insurer calculates the depreciated value of the vehicle to calculate the payable amount. If you don’t have zero depreciation policy you need to pay the differential amount. Certainly, the premium is high for a zero depreciation policy. But the cars with the rate of depreciation should take the zero depreciation policy by which you have to pay less to the garage for the fixing charges. Also, remember about the hydrostatic cover which covers the risk of damages due to water logging. One of my friend’s car got damaged entirely due to waterlogging in Chennai flood last year. 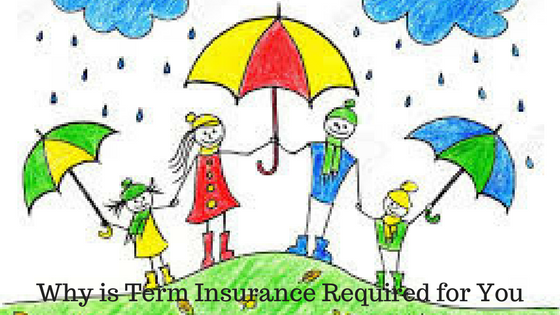 This type of insurance cover can save you from financial losses. Check the list of garages where you will get cashless facility while fixing the car. If you have any personal choice of a garage where the process is smooth and the job gets easily done, you ensure that the garage is in the list of network garages of the insurer. If you don’t claim insurance for an entire year, no claim bonus is added on the Insurance declared value. 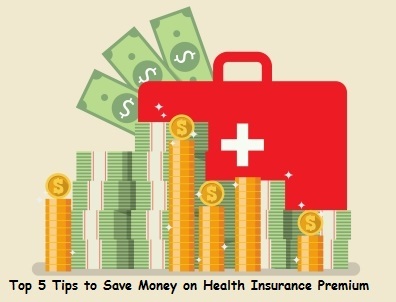 It is approximately 5-10% of the total insurance declared value. The maximum accumulation in no claim bonus is maximum 50% of total value. Car Insurance policies are portable which means you can easily shift to other insurers where the benefits will be continued. While changing the insurer, you have to check the existing benefits and its proper migration to the new policy. The most important point of an insurer is the easy claim procedure by which you can claim easily without much hassle. Check the online feedbacks and get the feedbacks from friends and relatives about their car insurance claims. How can you Compare and Buy Car Insurance? The best way of buying a car insurance policy is to compare first and then buy. When you compare the insurance policies, you will get to know the benefits and premiums at one place. You can easily check and fix which policy is giving you maximum value with lesser premium. You can take the help of online insurance aggregators such as Policybazar, Bankbazar, Coverfox etc.